We want to connect it to a nest thermostat E.
We have 7 wires to connect to the nest. This is a picture of our current thermostat wiring. 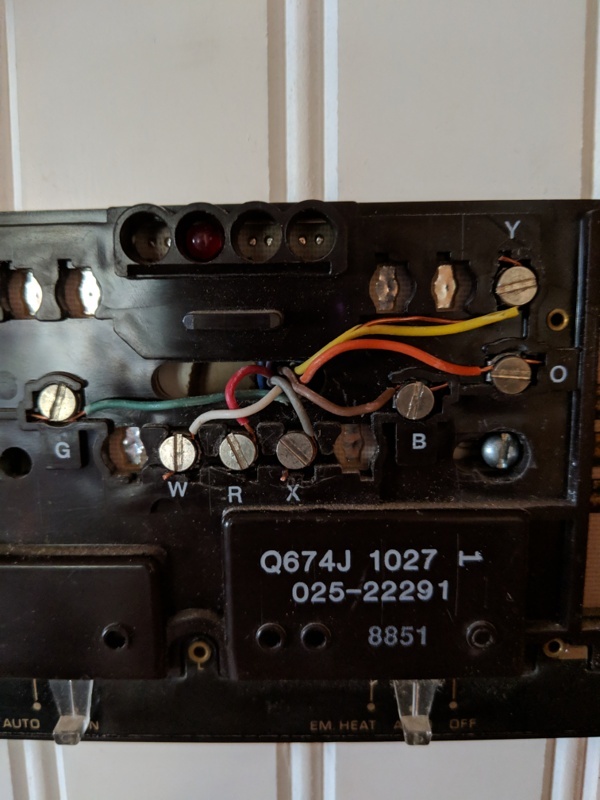 I spoke with a nest employee via chat on their website and she seemed to say that our system was compatible only we would need to get a pro to come and "join the O and B wires into the "*ob" terminal on the nest". She also mentioned something about possibly needing a relay but was reluctant to go into detail as I felt she was worried I might mess up my system. Before we go and blow a whole wad of cash for some guy to come and twist 2 wires together, I just wanted to get your opinion on our setup. Browse other questions tagged hvac thermostat nest or ask your own question. What thermostat do I buy for my American Standard Heat & A/C with heatpump? Why won't my Central Heating Boiler turn off with Nest thermostat installed?